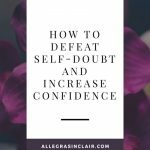 Do you need to defeat self-doubt? Do you often second-guess decisions or assume negative outcomes from future events? We often get what we focus on most—good or bad so it would be good to stop focusing on doubts and fears. If only it were as easy as simply saying, STOP IT. It’s not that simple but when you take action to be more self-confident, you will find that things in your life turn out more positively. 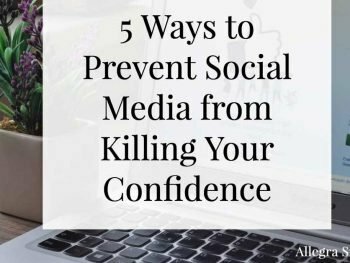 Increased self-confidence strengthens your decision-making skills, makes you a people magnet in social situations, and enables you to produce higher quality work and the life you deserve. Do you try to convince yourself you will fail at a new task before you even start? To stop this self-sabotage, write yourself a letter. Think of a specific time when you conquered your self-debt and accomplished something that was meaningful to you. Tell yourself this story in the letter. This letter will remind you of your strengths and how you have succeeded at new tasks before and can do it again. Are you in the habit of minimizing your contributions and/or putting yourself down? Become very aware of simple, powerful, self-defeating thoughts like, “I can’t do this” or “I’m just not good enough”. When those thoughts threaten your self-confidence remember that each day is a new opportunity to astound yourself! Consciously think powerful, affirming thoughts that remind you of past successes and make you more hopeful about future successes. Are you beating yourself up over a mistake made years ago? Forgive yourself, learn from that experience and move on. We have all made mistakes, and we will probably make some more before our time is done. It’s interesting how we torment ourselves with past failures but we don’t spend nearly as much time building ourselves up with our past successes. Let’s balance that scale a bit. Do you find it easy to believe bad things about yourself but difficult to believe the good? Make an ‘I Rock’ file. This will be one central location where you can keep written accolades and notes of appreciation you receive from others. When you’re experiencing self-doubt, it’s easy to forget about all of those wonderful comments you’ve received for doing things that made other people’s lives better in some way. It will boost your self-confidence when you turn to your ‘I Rock’ file and look at tangible proof of the ways in which you had added value to others. 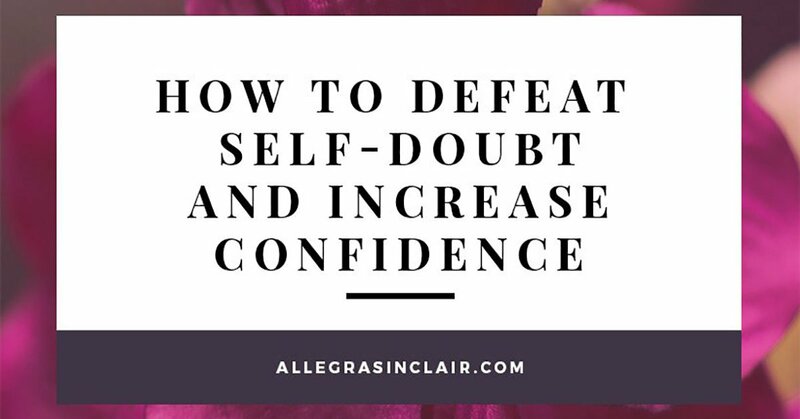 While it’s common to experience a lack of confidence or self-doubt occasionally, you want to develop your mental muscles to put your inner critic back in her place. Practicing the steps above will enable you to push through your self-doubt, boost your confidence, and clear the way for positive new experiences. I hope you’re planning a POWERFUL day! 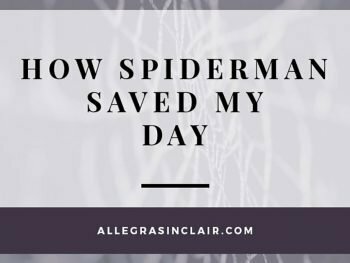 Allegra Sinclair is a professional coach and confidence expert. She hates to see women living small and loves to help them change how they show up in the world. Previous Post: « Affirmation: I am devoted to my spiritual growth.